Updated Monday January 16, 2017 by Grand Rapids Blaze. 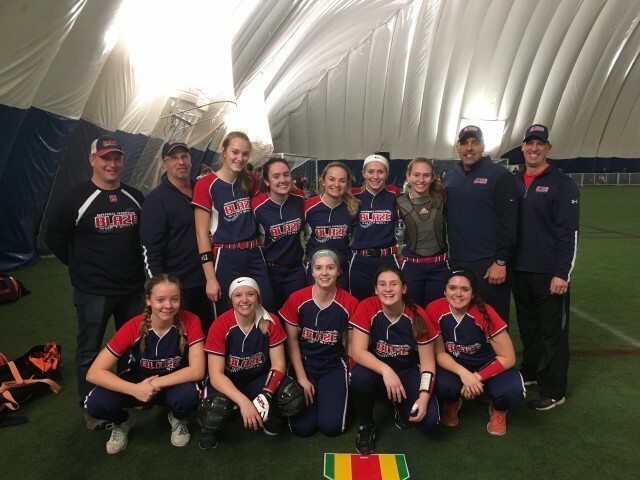 Blaze 16u Red traveled to Grand Blanc and played in the "Battle in the Bubble" tourney. This tourney was a fun indoor winter tourney to shake the "rust" out and get some great games in. The team did well and had fun playing some late hour games. Good job girls.